Telos classroom furniture brings new life to old materials with seats, backs, and work surfaces made from fortified recycled wood. This mobile task chair features a pneumatic mechanism for easy seat height adjustment. 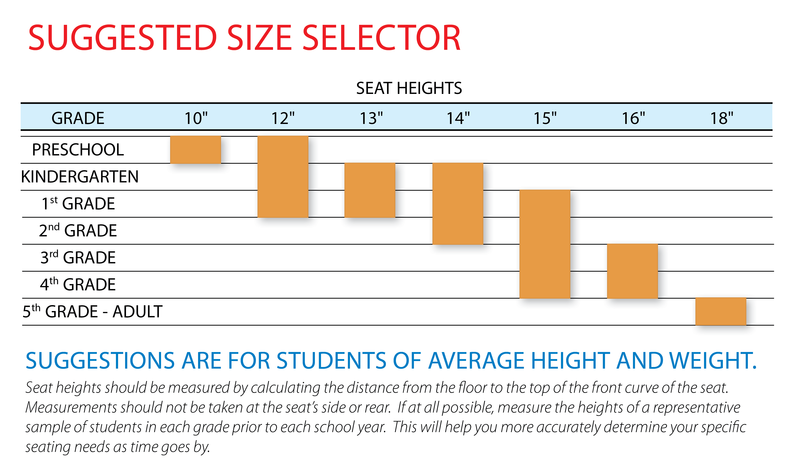 Chairs come in 16" adjustable height and 18" adjustable height sizes. Tubular steel frame and FRW hard plastic. Five 2" diameter, dual wheel, hooded swivel casters. Five 2" diameter, dual-wheel, hooded swivel casters. FRW™ hard plastic work surface. Soft-Wheel Casters and Fixed Glides.